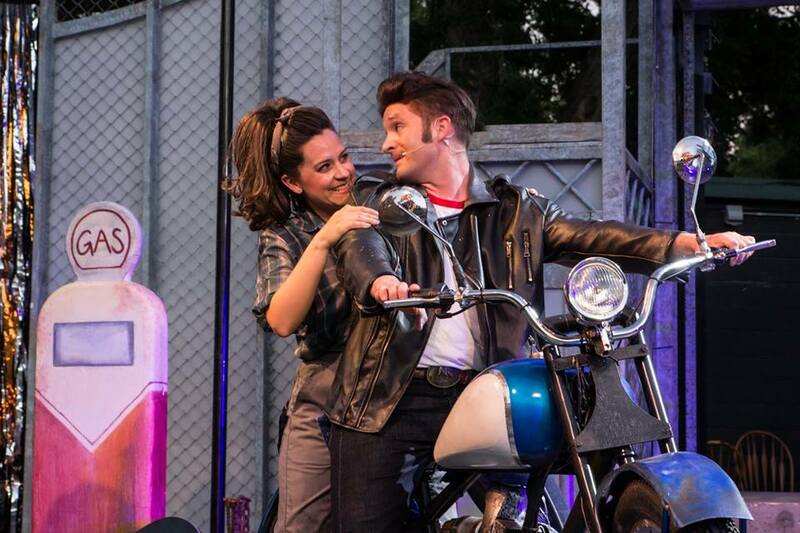 Join Us on the Zilker Hillside Theatre for 'All Shook Up'! 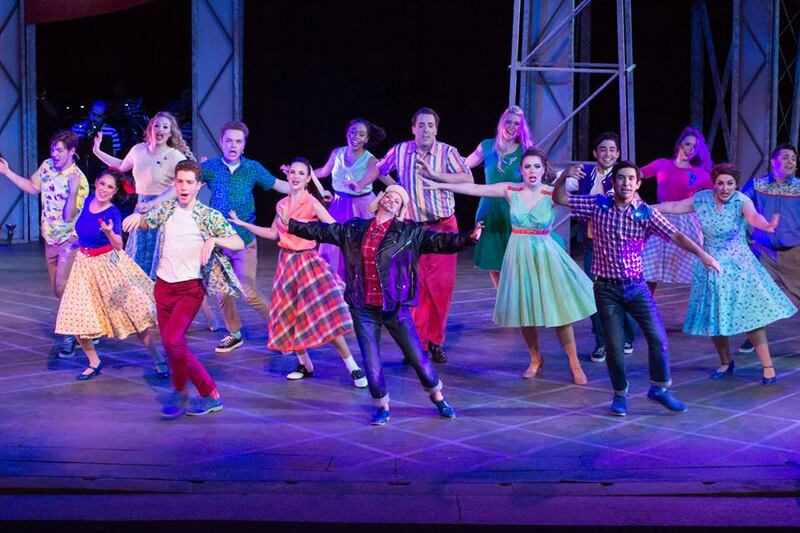 Dust off your blue suede shoes, and plan to join us at the Zilker Hillside Theatre this Saturday, July 14 as Zilker Theatre Productions presents their fun Elvis-inspired show, All Shook Up. While you can can catch a performance every Thursday, Friday, Saturday and Sunday at 8:15 p.m. through August 18, this Saturday happens to be Do512 Family Night where our staff will be handing out swag and copies of our Summer Calendars. 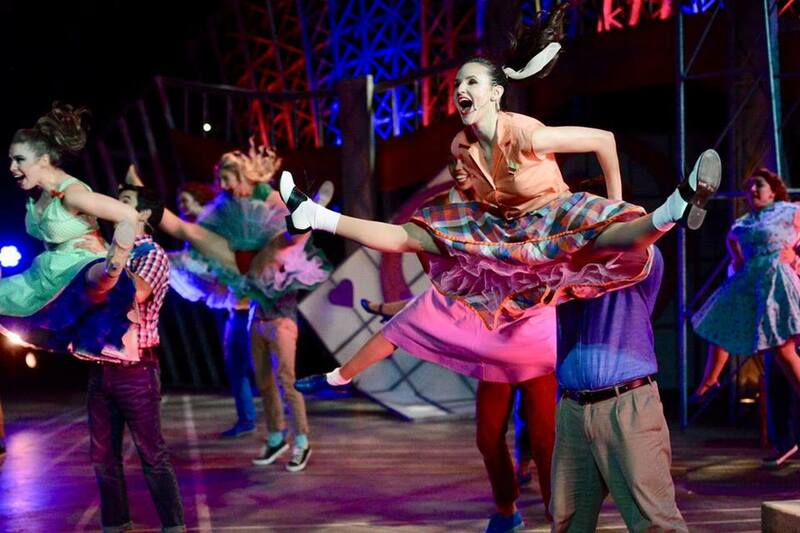 We invite you to join us that evening for a pre-show Kids Sock Hop at 7 p.m. down on the stage! It really is a blast to hang with friends and family while watching a big Broadway musical under the stars in Zilker Park. Admission is free, but donations are greatly appreciated to help fund future musical productions. Located just across from Barton Springs Pool, you can even take a refreshing dip in the water before you settle in for a night of entertainment! Beverly S. Sheffield Theater is located across from to Barton Springs Pool, and free parking is available on Thursday & Friday and free after 6 p.m. on Saturday & Sunday. All public parking is on the south side of Barton Springs Road near the moonlight tower area in the field area. On-site parking is first-come, first-served, and is very limited in the summer months, especially on weekends. A limited number of handicapped parking spaces are available in the lower parking lot near the stage. They are first-come, first-served. Please arrive by 7:30 if you will need ADA seating at the Zilker Hillside Theater. Please note that parking in the pool area is reserved for cast, crew, staff, and special guests who have a City of Austin issued parking pass. Click here for more info about transportation options & parking. Everyone is invited to bring their own blankets and folding chairs to sit on the grassy hillside. Blankets may be down as early as 6 p.m. Full-height lawn chairs are only allowed behind the low rock wall approximately 3/4 up the hill and along the walls at the top of The Hillside as they block the view of other patrons. Note that there are some centrally located spots that are reserved for donors and cast members families. ADA accessibility allows for designated seating for audience members with special needs. Please contact Zilker Theatre Productions at 512-479-9491 if you need any special assistance. Pack a picnic basket and/or cooler. A variety of drinks and snacks as well as chair rentals (for $5 per chair) are available onsite (proceeds benefiting the production). Don’t forget your bug repellent. If the rain stops at Zilker Park by 6 p.m., they will try to dry the stage and go on with the show… if at all possible. For information on the status of an evening’s performance, call the Zilker Theatre Productions Hotline at 512-479-9491. For much more information, please visit www.zilker.org and download their handy Tip Sheet. You can also follow the production on Facebook, Twitter and Instagram for updates and some behind-the-scenes photos. –> VIP Giveaway: Want to join us on Saturday, July 14? We’re giving away a VIP experience for a lucky family! During Do512 Family Night, a winner will be able to enjoy snacks in our special air-conditioned tent, meet some cast members before the show, join the fun at the Sock Hop, plus get reserved center hillside seating and access to the restroom facilities. Enter to win below. Good luck! Entering the giveaway will add you to our twice-weekly email list where you’ll get all the latest news on family fun in Austin as well as to Zilker Theatre Production’s email list. Thank you to all who entered and congrats to our winner, Stacey M., who has already been notified!